I think the same goes for humans. 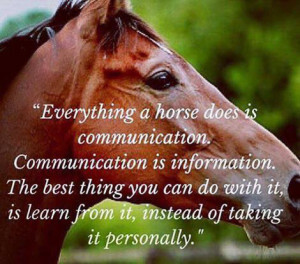 Today I was reminded by my horse that what we pay attention to impacts how secure others feel around us. 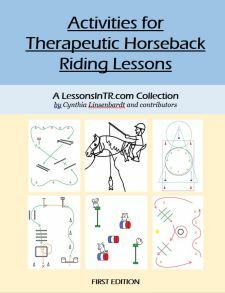 When I first started taking my horse on the short trails around the barn all alone, she would often walk quickly, looking all over, stopping often, very concerned about what might be lurking – not the most comfortable ride. I wondered if she would calm down if I took over the lookout, and sure enough when I sat up tall and turned my head to look back and forth through the trees, she stopped looking and worrying so much! This is the opposite of my normal reaction, which is to look forward or at her and try to keep her straight and paying attention to me. But why should she pay attention to me if I’m not taking care of her by paying attention to the worries around us? I was reminded of this again today when walking around the barn she became concerned by the dogs at the house, not spooking but again walking fast and looking back over her shoulder. I kept looking at her and trying to get her to pay attention to me, but as soon as I started being the lookout, checking over my shoulder every few steps, she put her head down and stayed with me as I walked excruciatingly slow just to make her practice staying with me in a worrisome environment. 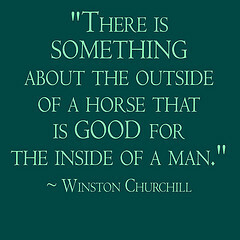 It makes me think about my riders with sensory and attention deficit disorders. So much of our lesson time is spent refocusing. So often something grabs their attention away – a sound, a movement in the aisle – that it’s easy to get in the habit of reminding over and over to pay attention. But I find that when I address what it is that took their attention, we suddenly share attention on the same thing, meet in the middle, address it, then can move on so much easier when I suggest let’s look where we’re going or it’s time to turn our horse. What took their attention is often a worry or curiosity and needs explaining – and if that isn’t taken care of, they’re not going to come back to attention easily. So if I take the half minute to notice what they are noticing and explain it briefly, they feel safe and taken care of, like my horse.And it’s super interesting what they notice. Rain on the roof. A tractor outside. People grooming in the aisle. The cat. They may have never seen or heard these things before so it makes sense the unknown overpowers what we’re doing. If you ignore what someone notices, what is extremely important to them in that moment, over and over, they will stop trusting or respecting you. So we notice these things together, and start to build a relationship. Hope that makes sense! Have a great weekend! What a wonderful reminder, thank you for sharing! This is a good observation. It’s amazing how much body language conveys and how it affects relationships, bot between people and between people and animals. I love this post!! Thank you so much for sharing! I am currently an IT and am working on getting my teaching hours in. I’m slightly overwhelmed at all there is to learn and consider, but your blog is incredibly helpful and give me comfort in knowing there are wonderful resources to glean from. Hi Sandy, I’m so glad you find the blog helpful! It’s great to hear it’s doing what it’s intended to, especially for Instructors in Training. I wish you all the best in your studies and training! Let me know if you have any questions in particular that would make a good blog post!